We should have known that Silicon Valley’s creepy, peeping-tom, data-stealing incursion into our lives was going to end badly. There were red flags from the very beginning. How did we miss them? Why did we ever think that “disruption” was a good word? Doesn’t the acronym, FAANG, for these dominating, digital behemoths give us a clue? I think an apt metaphor here for understanding how and why we all, systematically, ignored these red flags is the bad boyfriend/girlfriend phenomenon. Since I have had experiences with bad boyfriends (BBs), I will write from this perspective. But of course it applies equally to any romantic partner. Although the BB was charming at first, red flags are there from the beginning. He soon starts letting you down and making you unhappy. He takes advantage of your love for him to keep behaving badly. It takes a long time for you to realize that BBs never really change. This BB is just the worst. Trustworthy and innocent in front of you, backstabbing and demeaning behind your back. When you catch him, he acts innocent, surprised – just like Mark Zuckerberg acted when he testified in front of Congress last month. But this was his plan from the very beginning. You need to start paying attention now! It would be best if you broke up with him sooner rather than later. 2. He takes advantage of your love for him to keep behaving badly. But you don’t pay careful attention and you don’t break up with him. Instead, you keep rationalizing his bad behavior away, so he knows he can keep getting away with murder. Your relationship with Facebook is again a perfect example again. Take the Cambridge Analytica scandal – it’s old news! That story already broke back in 2015 in a Guardian report about Sen. Ted Cruz’s presidential campaign wrongfully obtaining data from tens of millions of users. You complained a bit, but forgot about it after a few weeks. But let’s not forget, you have other BBs in your life. What about Google’s active hostility towards privacy? Whether it’s the creepy Street View violations when Google Maps first launched or, way back in 2012, when Google was fined a measly $22.5 million (less than .1% of Google CEO Larry Page’s net worth at the time) for overriding privacy settings in Apple’s Safari browser? Your response? : Privacy, schmivacy. Google’s old “don’t be evil” motto just means that anything less than evil is ok, right? Makes sense! I may have deleted my Facebook account years ago, and use DuckDuckGo instead of Google to protect my privacy and personal data, but I should come clean and talk about my own darling, Amazon. Amazon, which doesn’t allow ample time for its employees to have bathroom breaks; which is running every mom-and-pop store on the planet out of business; which seems to value growth and efficiency above all, no matter what the consequences for individuals or society. I still love you Amazon because you make my life easier. I’m finding it very hard to leave you, even as you become like an evil robot overlord more and more every day, and my life becomes drearier and more draining after all the looking at clicking and swiping and buying on that no-longer-charming glowing screen? 3. BBs never really change. The current litany of Silicon Valley mea culpas are drowning us. It’s hard to hear anything over all that gnashing of teeth. But once that dies down, you know that your BB will try to go back to doing what he does best – whatever he wants without concern about the cost to you or anyone else. Don’t fool yourself. It’s way past time to wake up. Techlash is now, and many of us, perhaps for the first time, perhaps in a more powerful way than ever before, are realizing that the digital ecosystem might have made our lives more efficient, but has also increased cruelty, indecency, ugliness, and inhumanity around us. In this ecosystem, negative information is amplified at the expense of positive information. The “connected” world isn’t happy. We feel free when we put those smartphones down. Scared, but free. Much like leaving a bad relationship. We have to double down on being human again. We should have all paid attention. Don’t expect BBs to ever really change. If you’re stuck with one, like we probably are with our Silicon Valley BBs, just remember, it’s up to us to call the shots and make things better. I am fascinated by the psychology of Facebook status updates. There are many reasons to make a status update. One reason, of course, is obvious – let others know what you’re up to or share something that’s cool. For example, if I did frequent status updates, I might decide to post “Buying a fantastic ½ pound of Australian feta at Bedford Cheese Shop on Irving Place – should I up it to a pound? !” (and seriously, it is incredible). This may be an interesting snapshot of a day in my life, but these types of status updates are exactly the ones that tend to annoy me for some reason. Even the most benign version of this feels like TMI. Why? Status updates are for many an instinctive way to reach out. A recent study even showed that increasing the number of status updates you do every week makes you feel more connected to others and less lonely. Seems like a good thing! Moreover, it’s consistent with what seems to be our new cultural comfort zone – being virtually seen and heard by a loosely connected group of people we know (or sort of know) as our “social network.” This virtual network is the social status quo for many of us, and certainly for many children growing up today. I believe one consequence of this is that no one wants to be James Dean anymore. Putting it another way, maintaining privacy and being a strong silent type, like Dean, are no longer alluring ideas to us. And when I thought of this, I realized why I don’t feel fully comfortable with the status update culture – I am a proponent of the James Dean School of Sharing Personal Information in Public: motto, the less the better. I like understatement, privacy, the choice to share with a few and retain privacy with most. 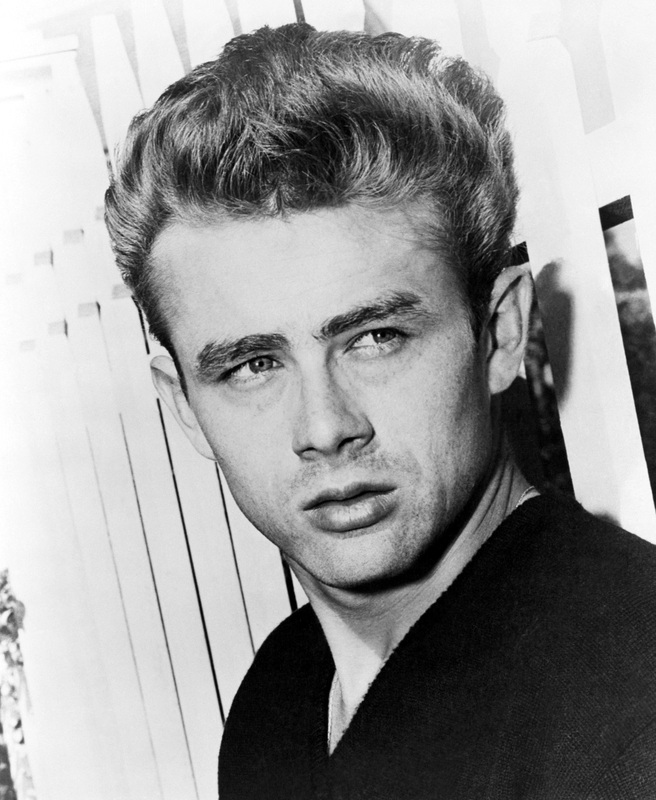 It’s no coincidence that as a culture, we don’t fetishize James Dean any more. Many of today’s icons (some of them “anti-icons” because we love to feel superior) are people who humiliate themselves, who will tweet that they’re on the toilet and what they’re doing there, who end up in compromised positions, and happen to have pictures and videos of those positions, which then promptly go viral (funny how that happens). James Dean would have disapproved. But seriously, while he probably wouldn’t have written haiku, perhaps he somehow would have figured out how to use sharing to create a sense of privacy, because a sense of mystery would have remained intact. Yes, the status update is a beautiful thing. We have an efficient and fun tool which allows us to reach out to others, curate our self-image, and think out loud to a community. But I wonder if we’re starting to lose the simple pleasures of privacy, of knowing less and wondering more. Shortly after the terrible tragedy in Newtown, I received email notifications that my (designated) close friends on Facebook had made status updates. Scrolling through my news feed, my friends expressed the range of emotions that we all felt – horror, sadness, distress, anger, and confusion. Later that day, I popped onto Facebook again and was jarred and a little upset to read that friends who seemed to have just expressed horror and heartbreak were now posting about every day, silly, and flippant things. Facebook time is asynchronous with real time. Time is easily condensed on Facebook. Events and updates that might be spread out over the course of a day or several days can be read at a glance, and therefore seem to be happening almost simultaneously. So, our perception of time on Facebook is a combination of how frequently our friends post and how frequently we check in. For example, say I check in twice in two days – at 9am on day 1 and at 9pm on day 2. I know a good bit of time has passed (and the amount of time that has passed is clearly indicated next to friends’ updates), but I still read each status update in the context of the previous ones – especially if I pop onto a friend’s Timeline instead of my news feed. With this type of infrequent checking, friends’ updates about their varying and changing emotions (which might be reasonably spread out over the course of a day or multiple days) appear to be an emotional roller coaster. If someone has several posts in a row about the same thing, even if they are spaced days apart, the person comes across as preoccupied with the topic. Somehow, I form a view of this individual that brings these little snippets together into one big amorphous NOW. If I were checking more frequently, however, perhaps I wouldn’t lump updates together in this way. I’d “feel” the passage of time and – more accurately – see that the ebb and flow of status updates are like islands in the stream of our lives rather than a direct sequence of events. Related to this first point, it occurred to me that status updates are not meant to be interpreted in the context of preceding status updates. Our brains are pattern recognition machines. So, if Facebook status updates follow one after the other, our brains may perceive a direct sequence of events. But, each status update is a snapshot of a moment, a thought, or a feeling. Intuitively, they are supposed to be stand-alone, not readily interpreted in the context of a previous update, even if they occur close together in actual time. Think how different this is from our face-to-face interactions, in which sequence of events matter. For example, imagine that you’re at work, and your co-worker tells you she is on pins and needles waiting to hear back about a medical test. When you see her a few hours later, she is joking and laughing. You assume she either (a) got some good news from the doctor, or (b) is trying to distract herself from the worry. You don’t think she’s just having a good time, out of context of what you learned about her earlier in the day. But this contextualization is not the way it works on Facebook. Linkages between updates are tenuous, connections malleable. We can lay out our stream of consciousness in a way that requires no consistency among updates. Maybe the temporal and logical requirements of the off-line world are suspended on social networking sites like Facebook. Maybe our brains need to catch up. Can Brands be “First Responders”? Can Brands be “First Responders”?. Interesting musings from friend and fellow blogger on digital marketing – born out of his experience helping victims in the aftermath of Sandy! As a resident of downtown Manhattan, my family and I were affected by Hurricane Sandy. But the worst that happened to us was losing power and water, and having to walk up and down 28 flights of stairs to get ourselves and our stuff out of our apartment so we could move to our dear friend’s apartment on the Upper East Side (where we are now totally safe and comfortable). Our kids feel displaced and are missing their routines and friends, and my husband and I are inconvenienced and feel, strangely, like tourists in our own city. But that’s the worst of it. This is obviously NOT a poor me story. The Importance of Physical versus Digital Neighbors. After the power went out, the kids on our floor were pretty much technology-free. What did they do? We opened the doors of our apartments, and the kids (including our one-year-old) ran out into the hallway like it was a backyard. Our neighbor Patricia said we should put down grass. The kids brought out toys and started playing store, house, battles, throw and catch, gymnastics. They found a collapsed cardboard box, and like all children, found that to be the best toy of all. My one-year-old got rides on the box from her brother, who would pull her around the hallway. Kids went freely from apartment to apartment. They played with each other like never before. I felt like I was living in an idealized American neighborhood (think Leave it to Beaver, I guess, which makes me June Cleaver? Jeez, you can’t control what leaps to mind can you?). Our doors were open and we fed each other’s kids lunch. Essentially, we dealt with the loss of power by reaching out to our immediate social network in concrete ways. This simple neighborliness was immensely helpful and satisfying. All it took was walking across the hall. In my mind, no digital social network could be as satisfying in the circumstances we were facing. Of course, digital social media and mobile technologies are incredible tools for getting things done – communicating, getting information, keeping up-to-date, seeking and offering support. But, Sandy reminded me of how isolated, on a visceral level, we may start to feel when we forget to just be with the people around us. Embodied Technology and Phantom Limbs. My iPhone went kaput (got water in it somehow) on Tuesday. This was horrible timing of course because I couldn’t update anyone about our status. But, as many have observed (e.g., JOMO) we often experience great relief and happiness when we can disconnect. However, I wasn’t just feeling happy about shedding the burden of being constantly connected. I was worried and exhausted about my present moment and didn’t have the energy to look outside my current circumstances to communicate with others. I was fairly overwhelmed with getting the kids to safety. Communicating with our digital social network wasn’t going to help at that moment. At the same time, I observed that this relief was mixed with some panic. How do I get what I need if I don’t have a phone? Luckily, my husband’s phone was working so we definitely had communication, but I, MYSELF, didn’t have a phone, and that was unnerving. Why would that be? I wasn’t disconnected, because I was with my husband and he was connected. Why did I feel disconnected? To me, this speaks of the psychological aspect of having mobile devices that keep us constantly connected. It’s an embodied experience, having a device in your hand. And you feel it when it’s gone. Like a phantom limb: once you’ve lost the limb, you can still feel it itching. As humans, we’ve evolved to attach to other beings and to things. We anthropomorphize objects and devices so that we can feel a connection to them. Mobile technologies, because they are so deeply about social access and connection, may be high jacking this fundamental aspect of being human. All I know is that once I got uptown, I ran to the Apple store on 5th Avenue (thank you helpful Apple Genius) and got a new phone. My family and I came out of the storm in great shape and we feel immensely lucky. For me, the biggest take-home message was that when technology is gone, or compromised, my appreciation for the people around me is that much sweeter.